Gratitude. The only word that expresses how I feel right now. To Los Pazzificos, the students of Pazzifica Ashtanga Yoga here in Barcelona: Thank you. Thank you for your patience with my mangled Spanglish, for your dedication and love for practice, for welcoming me and for trusting me during these two months. It has been a joy to come to the Espacio Vacio every weekday morning and evening to meet you! To Paz Muñoz: thank you for entrusting me with your Mysore program, your beautiful students, and your sacred spaces. I am so happy to have shared this experience with you. I have grown a lot in this time and have greatly felt your quiet and steady support! To my friends here: thank you, everyday with you all has been a lesson in love, support and community. I am so grateful to have been able to spend time with you, to speak Spanish with you, to cook with you, to eat with you, to walk in the forest, to climb mountains, to dance in the streets to wild drumbeats, to listen to incredible mind-elevating music, and do some deep emotional cleaning and delve into deeper spiritual work. To Barcelona: thank you for romancing me, for seducing me out of my comfort zones, for renewing in me the sense of independence and autonomy. I have fallen in love with your streets, your modernist architecture, your surreal sense of Catalan-slash-global humor, your cosmic sense of comic timing, your unique city-beat and spirit. Thank you to all, thank you for everything. Gracias a todos, gracias por todos! 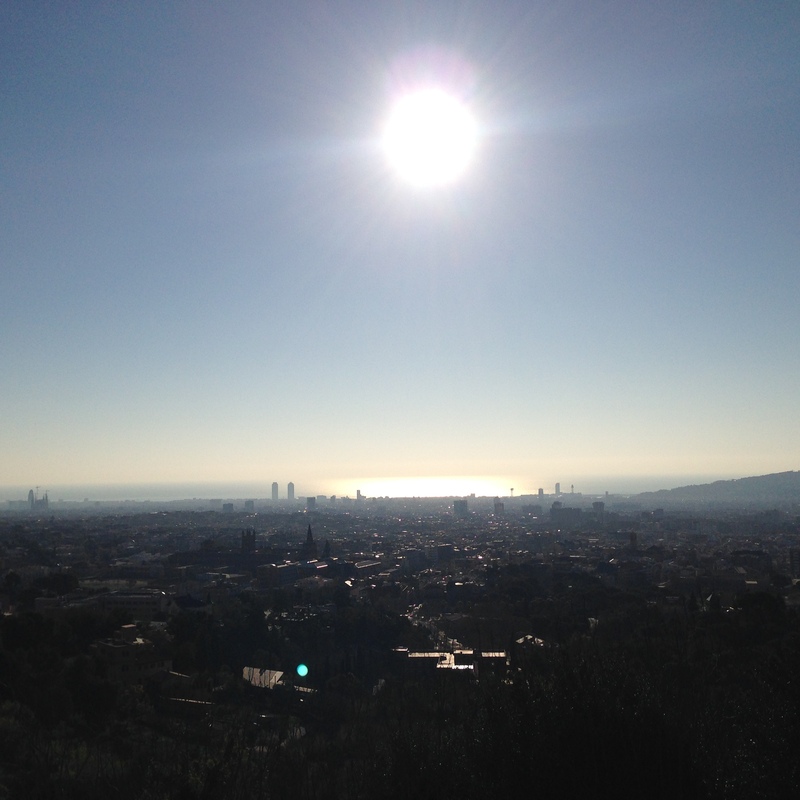 PHOTO: Barcelona, Saturday morning. Grateful for another beautiful day.